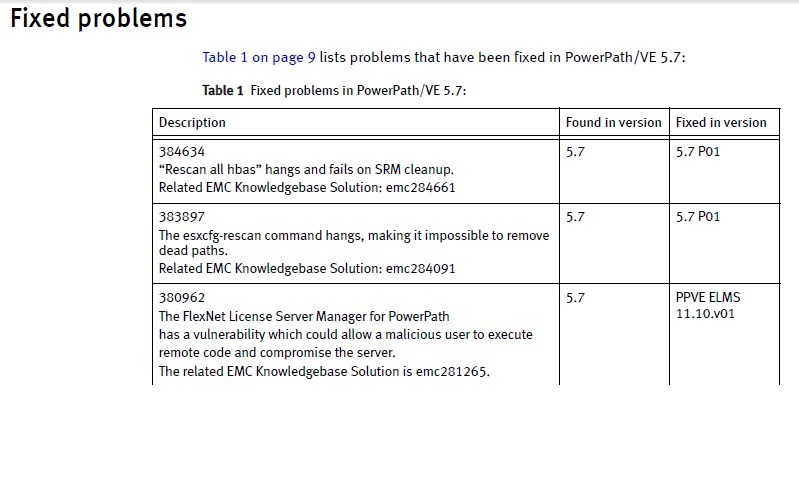 PowerPath/VE 5.7 P01 is out, grab it now! we have just released a minor version of PP/VE, this version will work with vSphere 5 hosts only, the release itself doesn’t bring new functionality but DOES fix some bugs..
as always, the upgrade itself is VERY easy and can be done using VMware Update Manager (VUM), put the host into maintenance mode, deploy the path, restart the host and take it out of maintenance mode, VUM will actually do it all for you. Previous Post Previous post: EMC Networker 8 is here! Is this only available as a “patch”? Or is the complete installation available also? I already have 5.7 installed. I have the PO1 files that someone else here downloaded from EMC, but how do I know if I have just the “patch” or the full install?